For this family of five who has a habit of moving around in the last thirteen years, one is left wondering what made them stay for good. The deciding factor, according to the woman of the house, is no less than natural light. The moment she walked inside the structure and noticed the light that permeates the space, that “This is it” feeling came over her—specifically, that they will stay in this home for good. 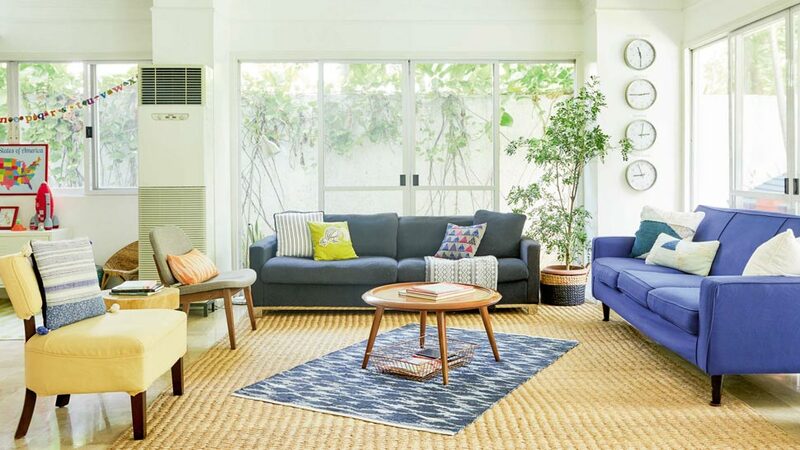 Apart from the abundance of light, the split-level home is also filled to the brim with DIY projects, kid-friendly art, and decorations and pieces sourced from various places. The homeowner, in particular, employed some practical tricks—from printed photos framed with store-bought frames, down to nifty ways to modify existing pieces. Take a look at this quirky house that this family can call their home for a very long time. Read the original article ("Happy House") in the July 2016 issue of Real Living Magazine. Download your digital copy of Real Living on the Real Living App. Log on to summitnewsstand.com.ph/real-living for more details.